Law School prepares you to think, write and research like a lawyer, but once you’re at the door of a law firm or a courtroom, there’s a whole new set of skills you need. The present series of articles aims to enrich a new lawyer with all these skills in order for him/her to excel. Many lawyers are concerned about providing their clients with the best possible services, which could mean long hours at the office. Finding time to volunteer, however, has many benefits. The experience of working for a greater good makes a positive impact on one’s morale. Becoming involved in community projects and charitable works forges links in the community and lets lawyers get to know their neighbours. Being able to make a positive difference in other people’s lives is an affirming experience. Volunteering helps lawyers in keeping their legal knowledge fresh and can even help them build on their expertise. However, before you decide to volunteer, just take a moment to determine how you wish to Give; you want to help through your financial resources, or time or your legal knowledge. Also consider which groups, individuals and organisations you want to support. If you are early in your career, you may look for legal-based volunteer opportunities to build your expertise and your resume while also helping others. However, if you are already established, you may want to branch out beyond your legal abilities and find an opportunity to contribute other skills. There are many places that you can look for volunteer opportunities; the local schools, children’s hospitals and many organisations have a need for legal advice and for volunteers. Colleges and universities also often hold free legal clinics for students and thereby need lawyers. You can contact interested charities and groups directly or support fundraisers. The news is filled with stories of people needing assistance. The parents of the student facing discrimination or bullying at school might appreciate some legal advice. The neighbourhood organization wanting to set up a community park might need a contract signed or a lease drawn up. Pro bono work is one of the simplest ways to help people who need legal services but may not be able to find them or may not know about free legal clinics. When you see someone in need taking advantage of your free consultations but who is unable to act further on a legitimate claim, you can choose to provide pro bono work. Further, e-volunteering lets you share your skills and time with groups from all over the world, simply by using a mobile device or computer. E-volunteering lets you donate time when you have moments free. It even lets you “micro-volunteer”, which involves minimal commitments of just a few minutes for an online project. Lawyers have plenty of ways to share their knowledge, resources and time. Becoming a mentor is a commitment, but it can make a profound impact on someone who wants to be a lawyer. Whether you let a law student intern with you, or mentor someone formally one-on-one or even set up such a group for law students, your experiences and support can mean a lot to a student who might not know any successful lawyer or has no means to access one. Share Your Education Your knowledge is valuable, so share it; offer to give free talks; or publish a column in a local publication about legal topics; or publish a blog answering legal questions; or offer to teach a free class of law students; or tutor a law student free of cost. A non-profit organisation allows you to raise money for special projects and lets you connect with friends, family and colleagues in the same cause. By pooling your knowledge and time together, you can make an even greater impact. Resident welfare associations and other organizations may need a mediator to resolve issues and disputes — before those problems become legal matters. Offering your negotiating skills as a mediator can help members of your community while helping you to contribute. Non-profit organisations, advocacy organisations, educational institutions and all rely on a board to make decisions, solve problems and create regulations. Many of these boards can benefit from having someone with legal and negotiation experience — such as a lawyer. So you can approach these organisations to offer your services. Be reasonable about what you can give. If you work long hours, you may only be able to volunteer a few additional hours. Accept this and put in modest hours rather than trying to overextend yourself. Learn to say no. Once you start giving, you may receive many requests from many organisations. You can’t help everyone; in fact, you will make the biggest impact by contributing as much as you can to those projects you feel most strongly about. Get excited about new projects. You may have a few organisations that you are associated with. But once in a while, it can be a good idea to try a new short-term charitable project outside your comfort zone. It will let you work with new people and extend your skills more. 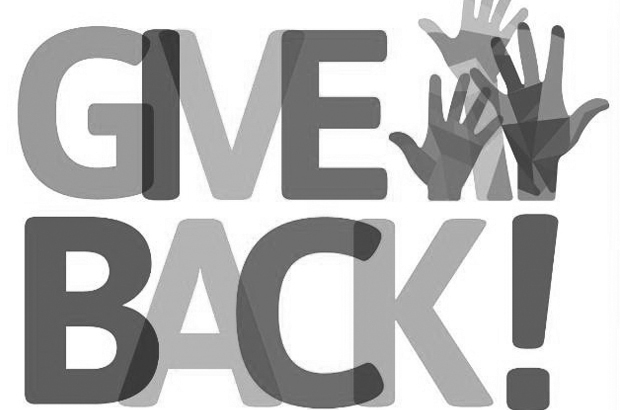 Make a lasting change in your community and, in turn, your country by Giving Back ! To Defend or Not to Defend! Want to Move On – Wait and Consider ! !